When a home doesn’t sell it can be attributed to one or more factors. Some homes sell in a matter of hours while others languish on the market for months or years and may never sell. Obviously there is a reason why a house doesn’t sell which leads to speculation about what went wrong. Is it because of the price, the exposure and marketing, the condition, staging or lack of, the time of the year, access to the property, reluctance to make repairs, etc? The list seems endless. What I’ve noticed after helping both buyers and sellers are common threads about why homes don’t sell. Here’s a few that I’ve observed…. ⦁Things that never bothered the sellers that shouldn’t bother buyers. This reason is characterized by a conversation I had with a seller in the east valley who thought that backing up to a major arterial road under a power line should not affect the price. Why? Because it hasn’t bother them! They have learned to live with it so why would it be a problem for the next owner. This form of denial is turning a blind eye to what is common sense for the typical buyer. It’s important to realize that buyers determine value by comparison shopping and will move onto the next house unless there is something to compensate for this bothersome feature. In this case the price must be adjusted accordingly. ⦁ The house is priced too high. The sellers are waiting for that special cash buyer that will fall in love with their home and the enamored potential buyer will pay the above market asking price. (With the current Canadian exchange rate, it probably will not be a Canadian!) Along this same line is “we can always come down” but only after the house has sat on the market for a while. There are a couple of problems with pricing your home too high. After buyers ask about the price, the very next question is “how long has it been on the market?” As the days on the market accumulate, sellers begin to lose their negotiating power and buyers feels justified in offering a discounted price which is logical because it has not sold. Pricing your home high will turn buyers away when buyer traffic is most important which is when it initially goes on the market. Then they will be reluctant to submit offers since the list price and true market value are so far apart. While you are extremely proud of your bold pink room, look at it from the buyer’s view point even if you have to put your ego aside. Not everyone is going to like what you like. When it comes to décor, less is best and simplier is better. Show the spaciousness of your home, not your collection of antique furniture. De-clutter and remember that how you live in your home is not the same as when you’re trying to sell it. It should be prepared to appeal to the largest percentage of buyers, regardless of the seller’s taste. Buyers want to visualize themselves in the home, not to be overwhelmed by the family photos, extreme color schemes and seller’s personal preferences. ⦁ The “fix or upgrade” list keeps growing. As a buyer walks through a house they enter the house with a mental ledger with two columns. One is “wow, that’s impressive” while the other is the “I’ll need to fix or upgrade” column. They notice deferred maintenance and outdated features and automatically put this in the “to fix or upgrade” column at an inflated price. As the second column grows the buyers feel justified in discounting the list price, or moving on to a house that requires fewer repairs and upgrades. The common justification that sellers give for this type of behavior is “the buyers will want to put in their own type of flooring, lighting, landscaping, updated appliances,” etc. or whatever the seller doesn’t want to fix. Remember buyers don’t have extra cash lying around to make these upgrades. It may not be in the budget to do a complete remodel, but do realize the thought process of the buyer. ⦁ The house creates no emotion. That’s the bottom line. When a buyer is spending hundreds of thousands of dollars, they want to get emotional about the purchase. It’s been said that buyers purchase houses on emotion and justify it with logic. What is going to get buyers emotional about your house? Remember buyers are comparing your house with other houses on the market. What is going to make them choose your house over the competition? Why do new home builders give interiors designers what seems to be a bottomless budget for model homes? To create the sizzle or emotion. Does your house create emotion? If you would like to know an honest valuation of your home, please click onWhat’s My Home Worth. Wow! 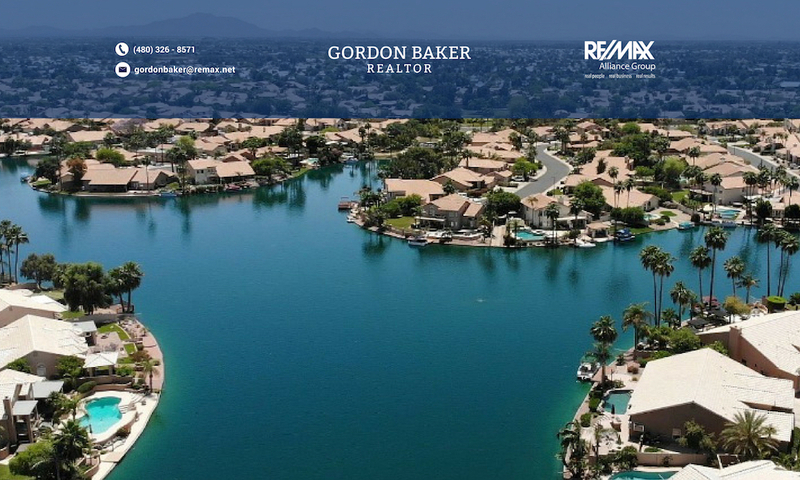 Gorgeous residence in Chandler is exactly what you have been looking for! With grassy front yard, 2 car garage, and beautiful curb appeal. This two story beauty truly shows pride of ownership! Set foot inside to find neutral paint, tile flooring in traffic areas and living/dining room with sliding glass doors to back patio. A dining area, with a lovely kitchen completed with stainless steel appliances & oak cabinets. Features vaulted ceilings, family room with balcony exit. Master retreat has walk-in closet, and lavish bath with dual sinks & separate tub/shower. Nice size backyard offers covered patio, pavers, and lush landscape. You must see this beauty! Call today to schedule an appointment. Gorgeous two story, 2 bedroom Chandler townhome available in desirable Pueblo Santa Fe. Excellent location, just minutes from the I-10, the Loop 101 and a stones throw from schools, parks and multiple shopping and dining options. Inside is immaculate. You will love the soaring vaulted ceilings and gleaming tile flooring throughout the downstairs living areas. Designed for entertaining, the open kitchen will delight any chef with ss appliances, granite countertops and a breakfast bar. Upstairs bedrooms are bright and inviting with clean, plush carpeting, and each with its own private en-suite. Community offers a sparkling pool and spa, a great place to socialize or cool off on hot summer days. This gem is exactly what you've been searching for. Book your showing today. This gorgeous home will not disappoint the pickiest buyer. 6 bd + 3 Full bathrooms. Huge (21x16) 6th bedroom could be bonus room , game or theater room. Kitchen was renovated and features upgraded cabinets, double ovens, and stunning granite counters.. Newer high end pergo floors and tile downstairs and in master. Incredible grassy backyard with pool is ready for you to enjoy this Summer. Pool has removable fence. Close to walking paths and parks. MUST SEE beautiful home in Chandler! Great location! Single level, 4 bedrooms, 3 bath with NEW CARPET throughout. This home has a nice layout and an open kitchen. Granite counter tops and upgraded fixtures. You will love the extra space with the 3 car garage. Home has NEW exterior paint. This subdivision offers all single story homes and the home is nestled in the middle of the community and far from any major streets! Cozy 3 bed, 2 bath home located in Chandler! The kitchen overlooks the great room making it seamless to entertain your friends and family. Inside the kitchen; there are stainless appliances, durable countertops, a breakfast bar, and dark wood cabinets! Your master suite has a large walk-in closet providing excellent storage space; you will have room for everything! Step out back to your beautiful patio! The pavers offer more seating surrounded by lush landscaping. Schedule your showing today! You have to see this one to believe it!Stunning Catalina Model completely updated with a new kitchen with double oven and granite counter tops. Open floor plan with new high grade carpet in all the right places and tile, that leads out to a fantastic back yard with built in outdoor kitchen with granite counter tops and bar type seating in addition to a covered patio. The Master bedroom is spacious with windows looking out to your private back yard. Master bath has double sinks with granite counters and walk in closet.Enjoy all that Sunbird Golf Resort has to offer with Golf, Pickle Ball, Tennis, 2 pools and Spa, clubhouse and restaurant, billiards, post office, bocce ball, clubs of all kinds and much more. NO HOA! RV GATE/PARKING! Located in N Chandler in the Kyrene District, this lavish 3 bed, 2 bath property has meticulous desert landscaping, 2 car garage with built-in cabinets, & updates galore! Inside you'll find vaulted ceilings, dining & living areas, a cozy fireplace, & and elegant kitchen equipped with ample cabinetry, a pantry, matching stainless steel appliances, & a charming, modern breakfast bar. Kick back & relax in the beautiful master bedroom, with a private exit, a bath with his & her sinks, & 2 spacious closets with sliding mirror doors. The STUNNING backyard includes a lovely covered patio & a refreshing pool/spa combo updated a year ago perfect for the summer! The good ones never last! Don't miss the opportunity to make this wonderful home yours! Schedule a showing today! This STUNNING home was recently remodeled with NEW flooring, custom cabinets, designer granite countertops and more ... GORGEOUS kitchen has white shaker cabinetry, high-end granite (feldspar quartz) countertops, custom backsplash and Whirlpool stainless appliances. The EXQUISITE master bathroom features a spa-like walk-in shower, freestanding tub, Brizo tub filler, custom cabinetry, Duravit toilet, elegant mirrors and large walk-in closet. Guest bathroom has custom tile shower/bath, high-end designer toilet and cabinets. Low maintenance lush back yard has artificial grass, xeriscape and mature trees and plenty room for a pool. The home features upgraded 2015 water heater, 2016 water softener and 2018 Goodman 16 Seer AC. Previous PostPrevious Solar Panels – An idea whose time has come for Phoenix homeowners?